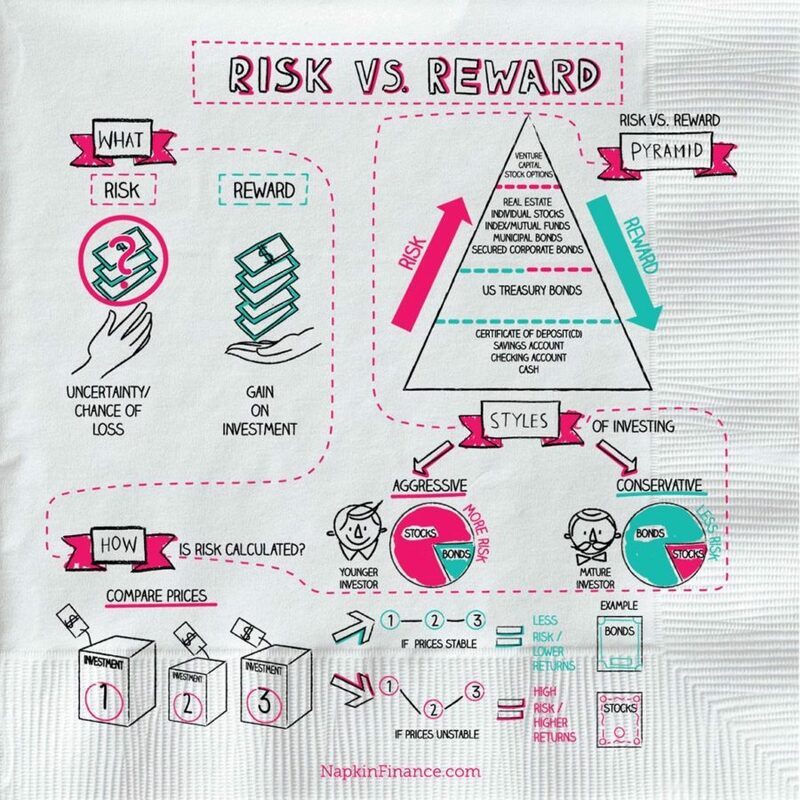 In investing, risk and reward go hand in hand. That’s because investments that have the potential to return a lot are generally riskier, and safer investments typically don’t return much. Cryptocurrencies Rating: Extreme risk Investors could make gobs of money or lose it all. Start-ups Rating: High risk Many startups fail, but some will succeed spectacularly. Stocks Rating: Moderate risk Stock prices can zigzag in the short term but have always marched up in the long run. Corporate bonds Rating: Low risk Big, well-known companies almost always repay their debts. U.S. government bonds Rating: Safe U.S. government bonds are considered to be the safest investments in the world. The takeaway isn’t that you should avoid risk. As we explained in the previous lesson, keeping your money in the bank or somewhere else super safe probably won’t get you where you need to go. Investment timeline: The longer you have before you need to access your money, the more risk you can take on. Risk appetite: How comfortable are you with risk? If your investments tumbled, would you panic and sell, or would you be able to hold on?